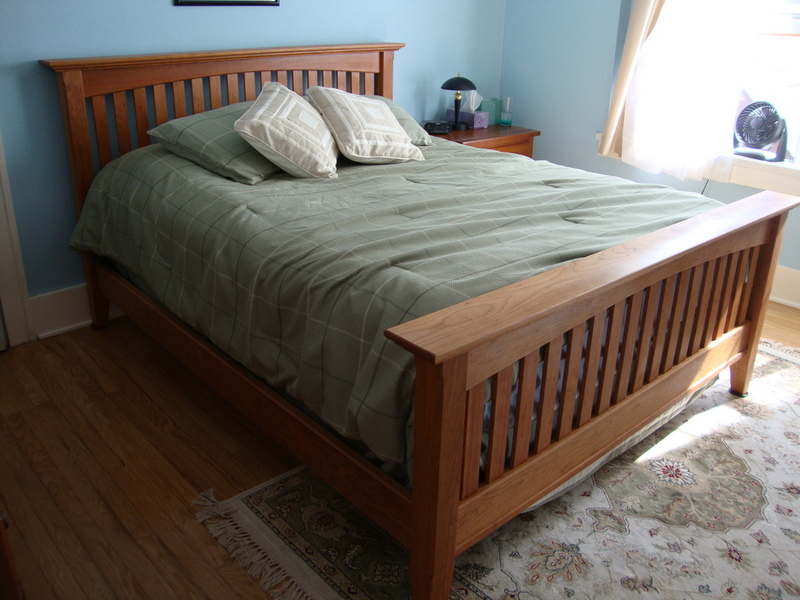 Woodsmith Magazine published a plan several years ago for a Classic Cherry Bed. You can purchase the plan here. It was fun to build and presented some interesting construction techniques. I wish I had taken more photos of the process, but that’s difficult when you’re the only one in the shop. The bed wasn’t inexpensive to build. The total amount spent on cherry alone amounted close to $800. I can’t tell you how many hours I spent building it (I’m poor at keeping track of my time on projects). The construction technique for creating the mortises in the rails for all of the vertical slats was interesting, to say the least. It requires routing dadoes across two boards that then get face-glued together to form the mortises. I built a router jig to keep the mortises square to the edges of the board and index the dadoes so they were evenly spaced. All went well. Until glue-up. Even though I used a “key” to keep the two halves aligned, the mortises were misaligned by about 1/32″ to 1/16″ at one end. The plans called for gluing the rails to the posts then tapping the slats through the mortises before adding the caps on the top and bottom rails. But in my case, this would mean there would be a gap in the mortises due to the slight misalignment. So I resorted to leaving the rails off of the posts and hand-fitting each end of every slat in its respective mortise. It wasn’t as tedious as it sounds. 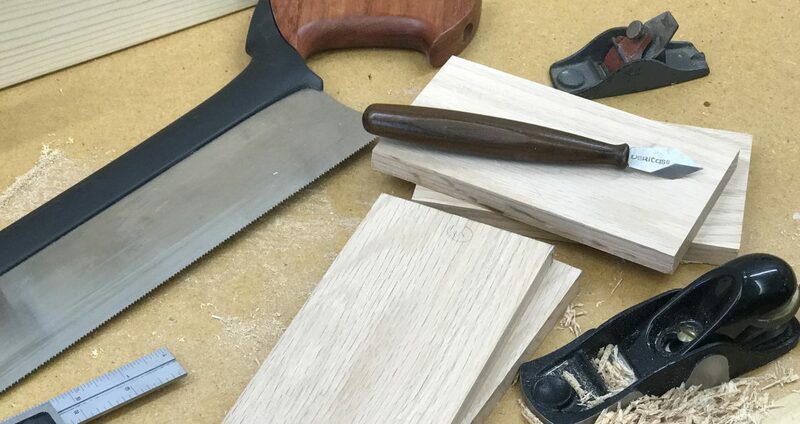 A sharp hand plane made the task go fairly quickly. Once all the slats were in place, the rails were glued into the posts. The finish I used was boiled linseed oil followed by two coats of Magnalac dull lacquer, sanding with 400-grit between coats. The final coat was rubbed out with an extra-fine (white) non-woven abrasive finishing pad.